Public service continues to be the hallmark of Rep. Tina Pickett’s career, both at the local and state levels. During her ninth term at the state Capitol, Pickett was selected again this session to serve as chairman of the House Insurance Committee, which oversees general insurance company operations; homeowners, life, health and automobile insurance; the Children’s Health Insurance Program; and agent and broker licensing, among other duties. She is also a member of the House Consumer Affairs Committee. Her legislative service also includes chairmanship of the House Gaming Oversight Committee, and as a member of the House Appropriations, Transportation and Agricultural and Rural Affairs committees. Her tenure in the House includes a total of 11 bills becoming law. During the most recent legislative session, Pickett authored two insurance bills that seek to help families and consumers. Act 84 of 2015 extended the Children’s Health Insurance Program (CHIP) for two more years while transferring the initiative to the Department of Human Services for better coordination of care and cost-savings. Act 30 of 2015 gives life insurance companies the option to send policies and annuities to their customers electronically, if so chosen by the consumer. Other laws she has sponsored include Act 152 of 2014, which requires a formal method for the expiration of natural gas leases; and Act 173 of 2014, which allows holders of leases for unconventional wells to access timelier production reports, as the new law requires well operators to file monthly reports to the Department of Environmental Protection (DEP). To help small businesses, Pickett fought for years to enact Act 76 of 2012, which gives small businesses a voice in the development of state regulations. Other laws include clarifying the state’s Clean and Green Law with respect to lands that are sites for active gas and oil wells; increasing criminal penalties for stealing anhydrous ammonia; making it easier for prisoners of war to receive hunting and fishing licenses; and preventing the spread of rabies. Again this session, she intends to support legislation to clarify the guaranteed minimum royalty act of 1979, spur economic development and the implementation of safeguards to protect the environment. For her pro-business efforts, Pickett has been honored repeatedly with the Guardian of Small Business by the Pennsylvania chapter of the National Federation of Independent Business. She is also a member of the Agriculture Caucus, Cancer Caucus, Local Tax Reform Caucus, Legislative Sportsmen’s Caucus, Autism Caucus, Rural Health Caucus, Firefighters and Emergency Services Caucus, Career and Technical Education, Early Childhood Education, Cultural Arts, Timber Caucus, Ladies of the House Caucus, Second Amendment Caucus, and Diabetes Caucus. She also serves on the Small Business Advocacy Council and the Pennsylvania Council on the Arts. In addition to her elected offices, she has held many other public service positions, including being a board member of the Area Agency on Aging, the Northern Tier Regional Planning Commission and the Endless Mountains Tourism Board. Pickett also serves on the Wysox Municipal Sewer Authority and is a past president of the Central Bradford Chamber of Commerce. Tina is further involved in her community by virtue of her service as past president and member of the Towanda Lions Club and as vice president of partners in Family and Community Development. She also served as a board member of the Bradford County Young Men’s Christian Association and is a trustee for Guthrie Healthcare. 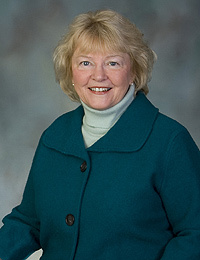 Before being elected to represent the 110th Legislative District in the Pennsylvania House of Representatives in 2000, she served as a Bradford County commissioner from 1996 to 2000. She also brings to the table extensive experience in small business. Pickett founded and operated the Fireplace Restaurant in Tunkhannock and the Williamston Inn in Wysox. Pickett resides in Towanda, and she has one daughter, Lynne, and a granddaughter, Annabella. Learn more on her Facebook page.